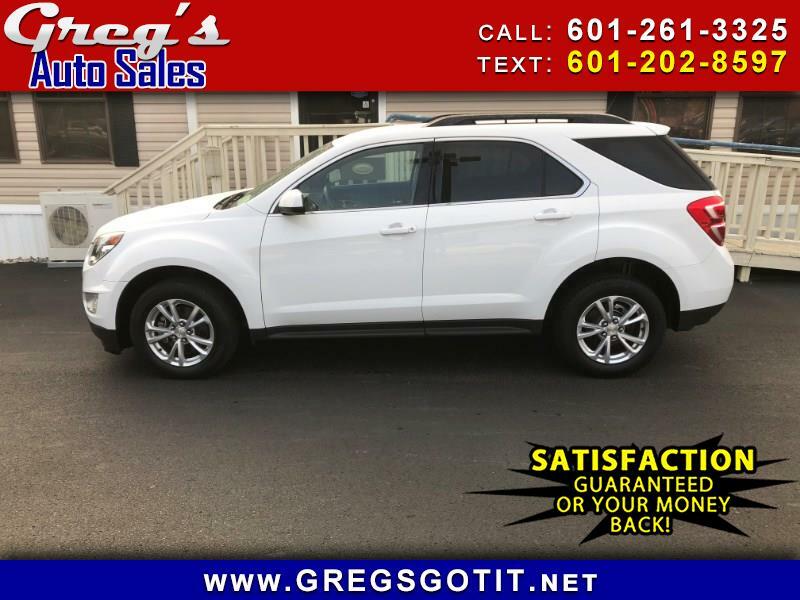 This 2016 Chevrolet Equinox is a One Owner Off Lease with a Clean CARFAX and EXCELLENT MAINTENANCE HISTORY. Brand New Set of tires on the front and all Maintenance is up to date. This One Owner is Extremely Clean Inside and Out. You Won't be disappointed. Very Affordable with notes easily in the 200 a month range With Approved Credit. Yes, the 2016 Chevrolet Equinox is a good used SUV. It has two rows of spacious seats, plenty of tech features, and good safety and reliability ratings.The Equinox has a reliability score of five out of five, which is great for any vehicle and one of the best ratings among compact SUVs. The Insurance Institute for Highway Safety gave the Equinox the best rating of Good in every category and named it a Top Safety Pick. This Vehicle comes with a 100% Mechanical Warranty. All Vehicles sold at Greg's come with a 5 Day Money Back Guarantee...No Questions Asked....Come see why folks have been doing business with Greg's for over 34 years!! !